SWITZERLAND, Zurich — Based on breaking news and events, it appears that Israeli Prime Minister Benjamin Netanyahu and the Israeli Mossad (at the behest of the CIA in Switzerland) are plotting an attack on the third “Freedom Flotilla”, namely the “MV Mavi Marmara” sailing out of Sweden. 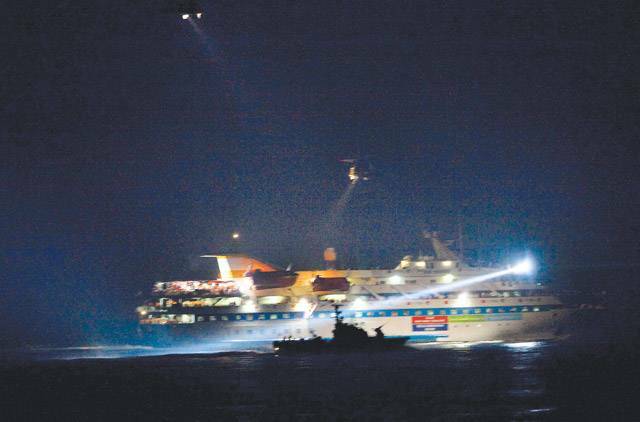 Back on May 31, 2010, the Israeli Special Forces (i.e., professional terrorists) attacked 6 civilian ships of the original Gaza Freedom Flotilla in international waters, assassinating 9 peace activists in cold blood. A similar attack appears to be planned for Freedom Flotilla III whose arrival in Gaza is imminent. Since the CIA is ultimately in command and control of the so-called Freedom Flotillas, well-meaning activists from around the world will once again be sacrificed in a premeditated state-sponsored terror attack, which is exactly why the so-called Freedom Flotillas exist in the first place. In other words, they are a double-cross. 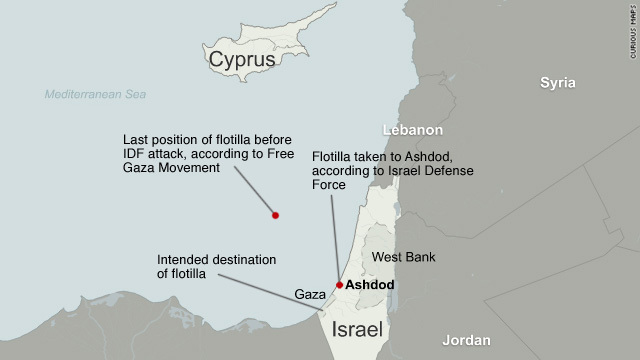 In what appears to be pre-Freedom Flotilla III terror attack propaganda, it was reported back on May 11, 2015, that Israel will not allow unauthorized entry to impending Freedom Flotillas. Translation: a redux of the 2010 Freedom Flotilla terror attack is now in play. In order to bring unprecedented international media attention to the illegal and apartheid state of Israel just prior to a state-sponsored terror attack on Freedom Flotilla III, it was reported back on May 13, 2015, that the Vatican has recognized the state of Palestine in a new treaty. That same day, May 13, 2015, Russia Today published a report which entitled “Hamas is Needed Not to Let Gaza Fall into Chaos”, potentially foreshadowing that the state-sponsored terror group known as Hamas may be used in the impending attack the Freedom Flotilla III. Two days later on May 15, 2015, Russia Today published another report entitled “New Gaza Flotilla: ‘We are Not Scared of Israeli Brutality’”, foreshadowing the notion that the Freedom Flotilla III will suffer Israeli brutality, most likely at the hands of Hamas. Less than 24-hours later on May 17, 2015, it was reported that Pope Francis canonized two new Palestinian saints, further putting Gaza in the international media spotlight just prior to a staged attack on the Freedom Flotilla III which should arrive in Gaza any day. Since public opinion regarding the illegal, racist and apartheid state of Israel is currently at an all-time low, it appears that the Israeli-spawned Hamas will be used to execute the attack on the Freedom Flotilla III. In the aftermath of the attack, it will likely be said that Hamas thought the flotillas was full of ISIS terrorists. This notion that ISIS terrorists are now being smuggled via ship was first identified on May 18, 2015, when it was reported that ISIS is now smuggling fighters “disguised as refugees”. Two days later on May 20, 2015, it was reported that Israel and Hamas npw have a “common enemy”, namely flotilla activists. SWITZERLAND, Basel — Based on breaking news and events, it appears that the illegal and apartheid state of Israel (at the behest of the CIA) will launch a deadly attack on the impending “Freedom Flotilla II”, a flotilla of ships which aims to break Israel’s economic and medical blockade of Gaza. Back on May 31, 2010, the Israeli military attacked six civilian ships of the Gaza Freedom Flotilla in international waters of the Mediterranean Sea, executing 9 peace activists in cold blood. A similar attack appears to be planned for Freedom Flotilla II whose departure to Israel appears imminent. Since the Israeli Army likely has COINTEL-like operatives (i.e., spies) within the group planning the Gaza Freedom Flotilla, the exact time and location of the ship’s departure is likely already known. Therefore, the Israeli military along with the Zionist media have been preparing for the impending fallout from a second Freedom Flotilla massacre. In order to bring unprecedented media attention to the Freedom Flotilla just prior to an attack on it, it was reported on September 17, 2014, that an American man is suing to seize Gaza flotilla ships which were originally used on May 31, 2010. The legal publicity stunt was designed to sell the notion that the ships were used in an act of terror, hence the lawsuit. Ten days later on September 27, 2014, it was reported that peace activists are preparing to launch “Freedom Flotilla 2” in order to break the Israeli siege of Gaza. Not wanting to give the Israeli Army a head’s up, they have not released the date of when they plan to set sail. Two days later on September 29, 2014, it was reported that a Gaza flotilla veteran was executed in a Syrian air strike while “researching a book”. Once again, the assassination was designed to infer that those who took part in the original Gaza Freedom Flotilla are linked with the Syrian Rebel terrorists. In order to focus the world’s schizophrenic attention onto Gaza just prior to an attack on the Gaza Freedom Flotilla, it was reported on October 12, 2014, that donors have pledged $5.4 billion to rebuild Gaza. While the report may be true, it’s more than likely just lip service as Gaza remains the largest concentration camp in the world. Less than 24-hours later on October 13, 2014, it was reported that United Kingdom politicians have passed a motion to recognize Palestine as a state. Again, this appears to be more lip service as Palestine will never be recognized by Israel so long as the current Zionist power structure remains in place. After all, the Palestinians are used to keep the Jewish people fearful and obedient. SWITZERLAND, Basel — Unable to execute the Israeli Embassy Terror Plot or stage the Palestinian-based assassination of Pope Francis on May 25, 2014, it now appears that Israeli Prime Minister Benjamin Netanyahu (at the behest of the CIA) has authorized a wave of “jihad”-related terror attacks against his fellow Jews in Israel on July 22, 2014. The unprovoked and non-stop assault on Gaza by the Israeli government appears to be reaching crescendo which will likely climax on July 22, 2014, a date infamous with Israeli state-sponsored terror. In other words, the 350+ innocent Palestinians killed in the last days were sacrificed so that a revenge terrorist attack on Israel can commence. Back on July 22, 1946, the King David Hotel Bombing was executed by Israeli terrorists, killing 91 innocent people. The date of the attack evidently holds some special meaning to the Jews because exactly 65 years later on July 22, 2011, the world witnessed the Norway Terror Attacks which killed another 77 of innocent people. 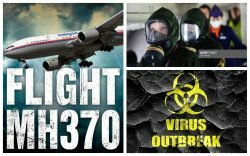 Therefore, it’s highly likely that a massive terror attack will take place somewhere in the world on July 22, 2014, most likely in Israel.That being said, there’s always the chance that the CIA will engineer a so-called “accident” or “natural disaster” (e.g., plane crash, boat sinking, building collapse, gas explosion, fire, etc.) 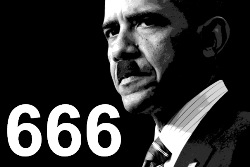 in order to quench their lust for blood come July 22, 2014. The impending Zionist terror attacks are part of a political strategy aimed at altering public opinion (which is currently at an all-time low) in respect to the illegal apartheid state of Israel. In short, only horrific and deadly terror attacks on innocent Jewish woman and children will be shocking enough for the world to alter their view on Israel which is now public enemy #1. Although the impending Israeli terror attacks will be scapegoated onto Palestinians and the Hamas terror group, the made-for-TV terror attacks will be executed by Israeli Mossad terrorists. It is imperative to note that Hamas is a creation of the Israeli government as confirmed by the January 24, 2009, Wall Street Journal report entitled “How Israel Helped to Spawn Hamas”. That is why Hamas wears black masks; for underneath is the face of Israeli terrorists. In short, Hamas was created so that Palestinians could be blamed for attacks on Israeli whenever politically necessary. In order to set the stage for a new wave of Hamas-based terror attacks, Israel suspended “peace talks” with Palestine after the Fatah-Hamas deal on April 24, 2014. Roughly a month later on May 20, 2014, the Hamas terror group joined the Palestinian Authority, officially tying the government of Palestine to all future Hamas-based terror attacks. SWITZERLAND, Zurich — Unable to execute the recent Israeli Embassy Terror Plot or stage the Palestinian-based assassination of Pope Francis on May 25, 2014, it now appears that Israeli Prime Minister Benjamin Netanyahu (at the behest of the CIA) has authorized a wave of “jihad”-related terror attacks against his fellow Jews in Israel during the 2014 FIFA World Cup. The Zionist terror attacks, should they happen, will be part of a political strategy aimed at altering public opinion (which is currently at an all-time low) in respect to the illegal apartheid state of Israel. In short, only horrific and deadly terror attacks on innocent woman and children will be shocking enough for the world to change their view on Israel which is now public enemy #1. Although the impending terror attacks will be predictably scapegoated onto Palestinians and the Hamas terror group, the made-for-TV terror attacks will be executed by Israeli Mossad terrorists. It is imperative to note that Hamas is a creation of the Israeli government as confirmed by the January 24, 2009, Wall Street Journal report entitled “How Israel Helped to Spawn Hamas”. That is why Hamas wears black masks; for underneath lies the hidden face of Israeli terrorists. In essence, Hamas was created so that Palestinians could be blamed for Israeli terror attacks whenever politically necessary. In order to set the stage for a new wave of Hamas-based terror, Israel suspended “peace talks” with Palestinians after the Fatah-Hamas deal on April 24, 2014. Roughly a month later on May 20, 2014, the Hamas terror group joined the Palestinian Authority, officially tying the government of Palestine to all future Hamas-based terror attacks. In order to create the necessary media narrative prior to Hamas-based terror attacks, three Jewish teenagers mysteriously went missing while hitchhiking in the West Bank on June 12, 2014. Less than 24-hours later, Israeli Prime Minister Benjamin Netanyahu stated that, “Hamas terrorists carried out Thursday’s kidnapping of three Israeli teenagers. We know that for a fact”. In the United States, the police generally won’t file a missing person’s report until that person has been missing for at least 48-hours. In Israel however, an international media campaign is launched, the perpetrators are fingered, and the Prime Minister of the country holds a press conference on TV. Based on the history of Israeli terror, the kidnapping were staged to gain international sympathy for Israel as well as provide a timely motive for Israeli aggression in Palestine. Less than three days after the kidnapping on June 15, 2014, Israel reportedly arrested 80 Palestinians. Three days after that on June 18, 2014, 51 former Palestinian prisoners were arrested for the crime. A day later on June 19, 2014, another 30 Palestinians were arrested. Less than 24-hours later on June 20, 2014, another 25 Palestinians were arrested by the IDF. Lastly, on June 21, 2014, another 10 Palestinians were arrested, bringing the unofficial total to 196 Palestinians who have now arrested for the alleged kidnapping. Suffice to say, it doesn’t take 196 men to kidnap 3 boys. Therefore, the mass arrests were evidently executed in order to enrage the Palestinians just prior to a wave of terror attacks which they will be blamed for. Predictably, on June 20, 2014, the Israeli funded Hamas threatened a 3rd Intifada in response to the massive Israeli crackdown, further confirming that terror attacks in Israel are now imminent. In what appears to gift wrapped motives for impending terror attacks against Israelis, it was revealed on April 29, 2014, that Israel approved a record 14,000 settlements during its peace talks with Palestine. The shocking report came on the heels of an April 6, 2014, report which found that over 1,500 Palestinian children were killed by Israeli Defense Forces since 2000. Most recently, IDF troops executed yet another Palestinian teenager on June 20, 2014, proving yet another timely motive for “revenge” based terror attacks on Israelis. In order to bring unprecedented media publicity to the state of Israel and the plight of the Palestinian state (or lack thereof) just prior to a new wave of horrific terror attacks, it was reported on June 21, 2014, that the Presbyterian Church became the most prominent religious group in the United States to endorse divestment as a protest against Israeli policies toward Palestinians. The boycott of Israel appears to be yet another publicity stunt designed to raise the Israeli-Palestinian conflict in Christian America just prior to brutal and shocking terror attacks which will likely result in scores of dead and dying Israelis. Although these attacks could theoretically take place anywhere in Israel, daycares, schools, synagogues, and universities are the most likely targets.